Dentures replace permanent teeth and can be a full or partial replacement. 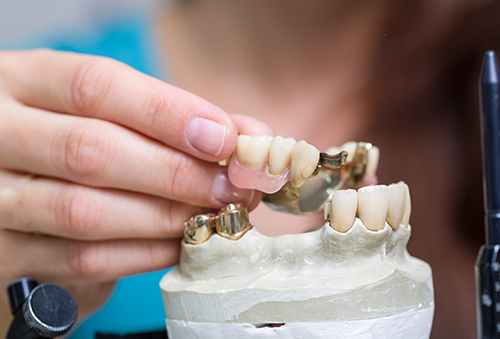 A partial denture can replace one or more teeth. It is made of chrome or plastic. The same materials are used in full dentures. The new technology of implants can act as a anchor for dentures which makes them more stable and comfortable.